Be the first to share your favorite memory, photo or story of Marsha . This memorial page is dedicated for family, friends and future generations to celebrate the life of their loved one. 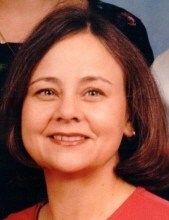 Marsha (Marty) Zielke, 66, of LaSalle passed away Sunday, April 14, 2019, while in hospice at Cabin Livin', RR, Hennepin, Illinois. Marsha was born June 5, 1952, in Chicago, Illinois, to Ralph and Eileen (Landon) Albertsen. She was raised in Lombard, Illinois, graduating from Glenbard East H.S. in 1970. She attended Western Illinois University, earning her B.A. in 1974. She taught Special Education at Streator H.S. from 1974 until the end of the 1983 school year. Along the way she earned an M.A. degree in Special Education from Illinois State University. She married Michael Zielke on October 1, 1983, in St. Paul's Episcopal Church, LaSalle. Together they had two children: Sara (Mike) Biagini of Peru, and Matthew of Washington, Illinois. Marty was a Girl Scout from an early age and served as a Camp Counselor while in high school. It was while a Camp Counselor she was given the nickname of "Marty", which she liked and used the rest of her life. She participated in "Outward Bound" during her teen years in the Boundary Waters of upper Minnesota. She served as Troup Leader while daughter Sara was in Girl Scouts in LaSalle. She enjoy camping until recent years, spending many weekends at Condit's Ranch, Putnam County. Marty enjoyed music and loved to sing in church, as well as around the campfire. She played the guitar, dulcimer, piano and pump organ, and took violin lessons while teaching at Streator H.S. She enjoyed quilting and stored up many yards of fabric. She was self-taught in basket weaving, enjoyed collecting and cooking with cast ironware, as well as collecting and refinishing antique furniture. And how she loved her dogs, always a stray looking for a loving home, which Marsha provided unconditionally. Marsha was preceded in death by her parents and one sister, Susan. She is survived by her husband Michael, daughter Sara (Mike) Biagini and son Matthew Zielke; as well as one sister Julie (Jose) Morales and one brother Wayne (Linda) Albertsen; two grandchildren: Macoy Biagini and Landyn Biagini; one niece Jennifer Albertsen, and two nephews Jeremy Albertsen and Eric Albertsen. Visitation will be Monday, April 22, 2019, from 4 p.m. to 7 p.m. at Burgess Funeral Home, LaSalle, with funeral services commencing at 7 p.m. Pastor Karen Karczewski will officiate. Burial will take place at Mount Emblem Cemetery, Elmhurst, Illinois at a later time. To send flowers or a remembrance gift to the family of Marsha "Marty" Zielke, please visit our Tribute Store. "Email Address" would like to share the life celebration of Marsha "Marty" Zielke. Click on the "link" to go to share a favorite memory or leave a condolence message for the family.